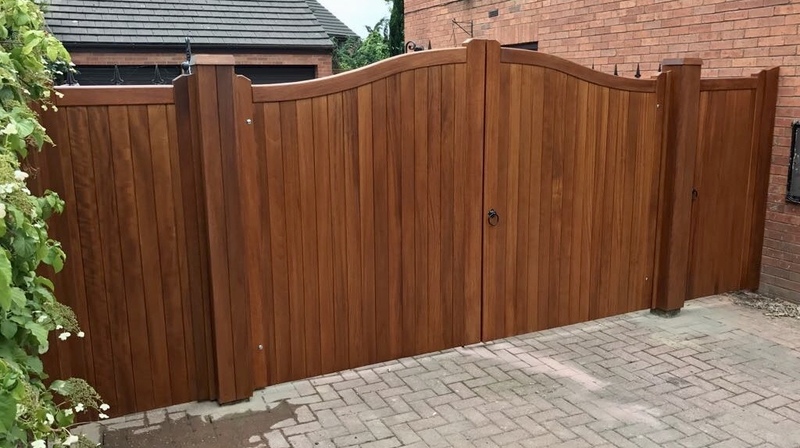 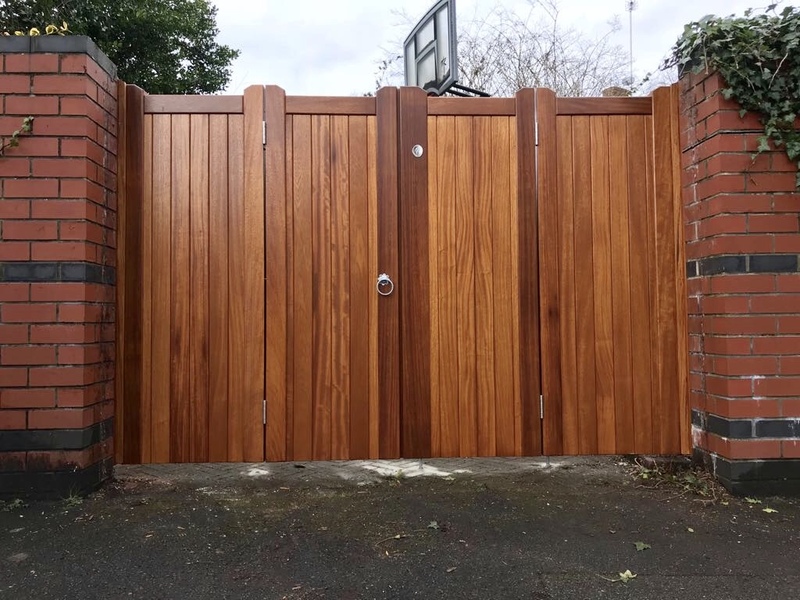 Our wooden driveway gates are for those looking for privacy and security as well as an attractive entrance to your home. 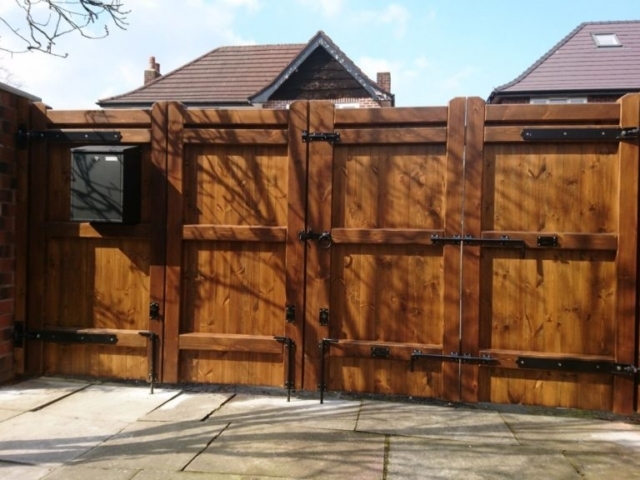 By sourcing the best quality timbers available, our gates are made for durability. 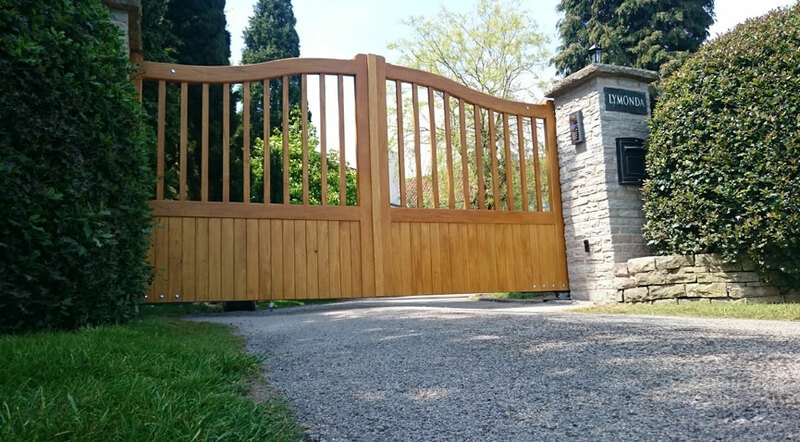 Our double driveway gates are handcrafted using traditional and modern methods of construction. 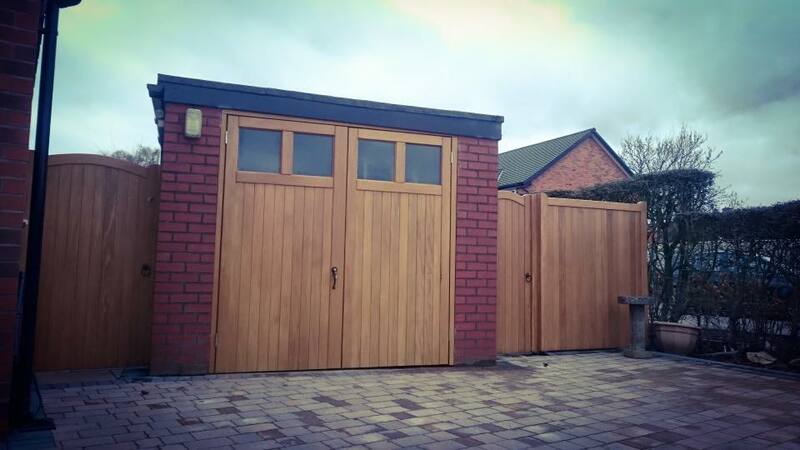 They are built by our experienced joiners with a strong attention to detail. 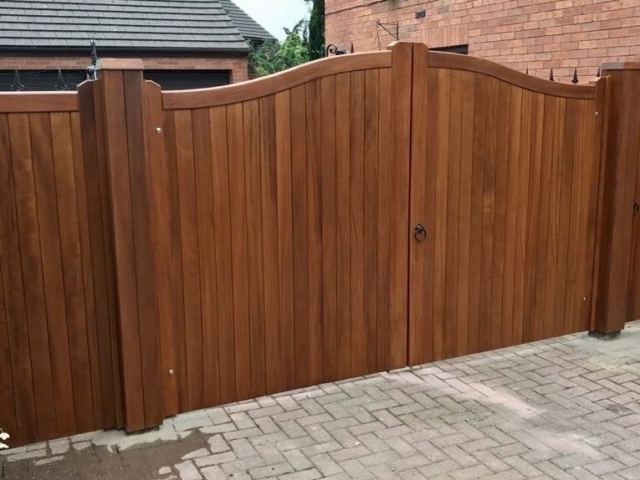 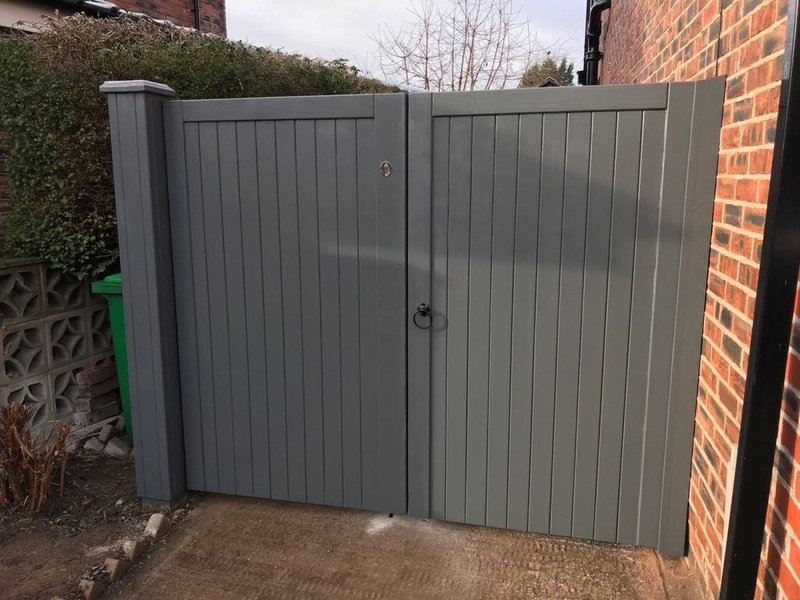 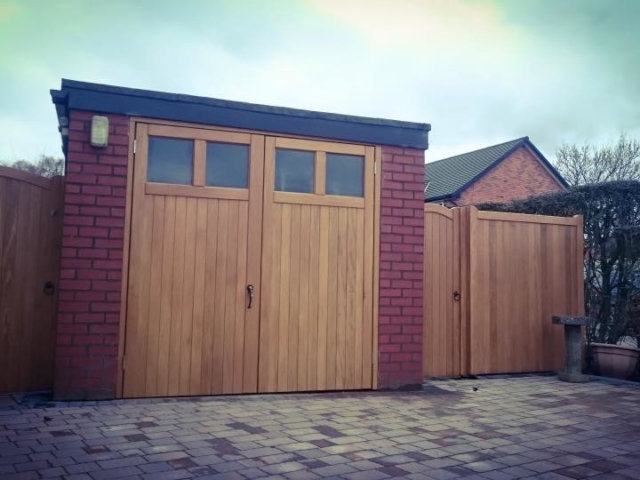 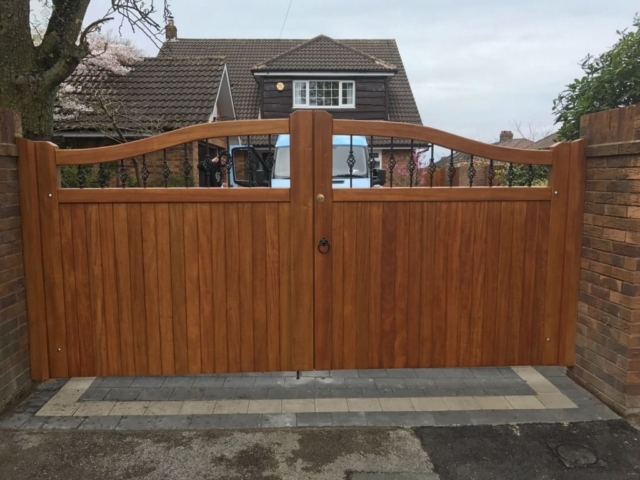 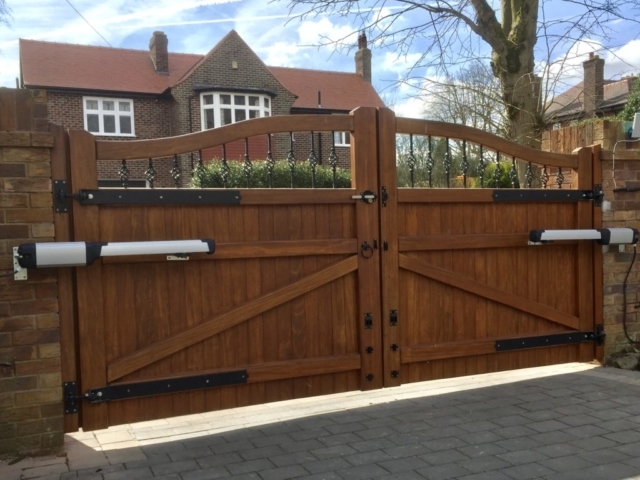 They use recessed boards, chamfered, braced and routed edges with our Village Gates touch, your gate will be an attractive quality made investment for your home. 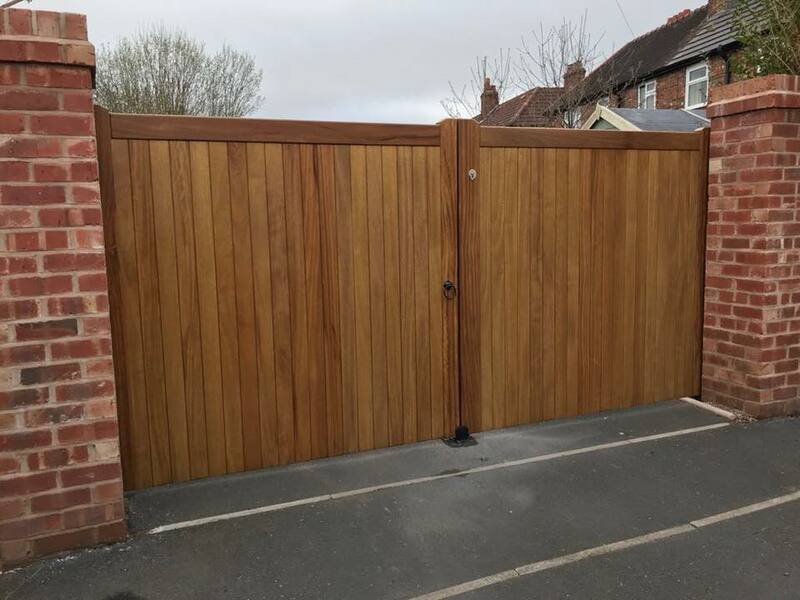 They can be made in two halves or there is the option for one larger leaf with a smaller opening for pedestrian use. 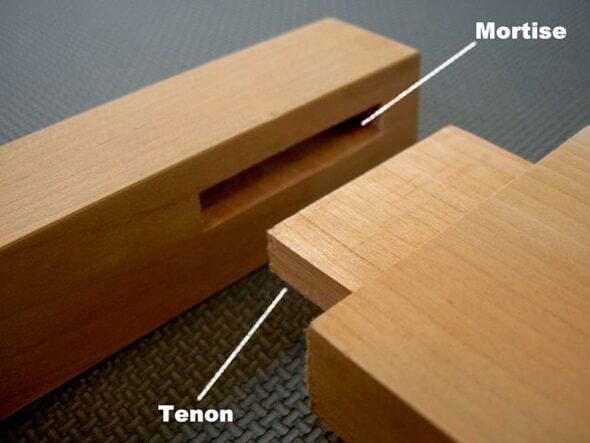 Designs that suit this best are straight top or curved top designs as seen below. 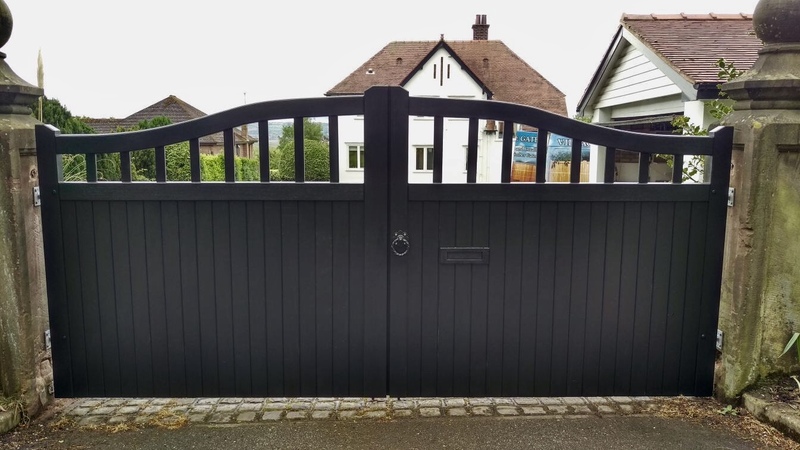 We only use quality ironmongery available in galvanised silver, black on galvanised, stainless steel or pewter finish. 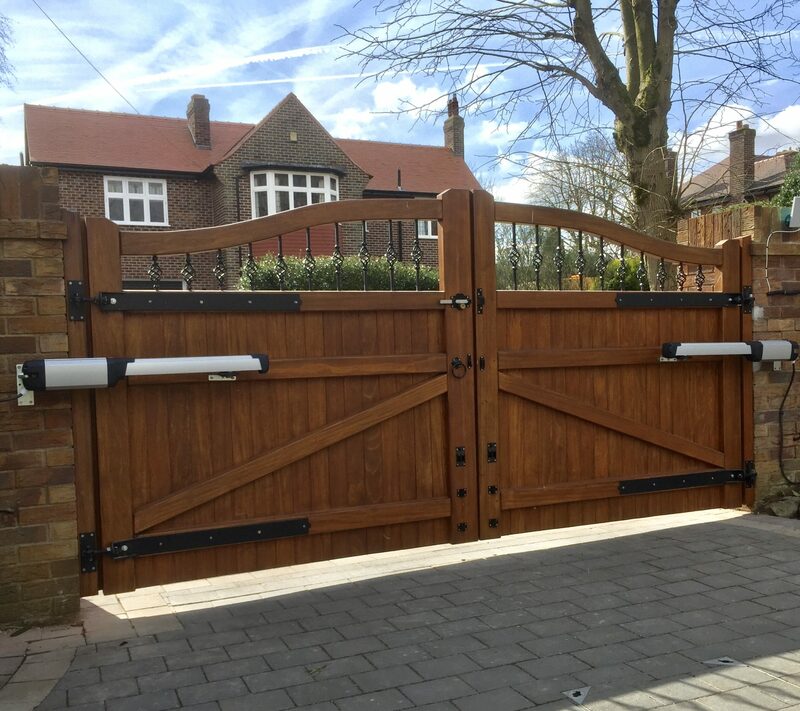 All double gates use adjustable hinges for maximum stability and to give the opportunity for adjustment in the future. 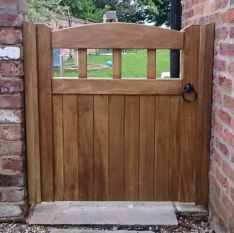 They are also supplied with drop bolts, a ring latch and a brenton padbolt. 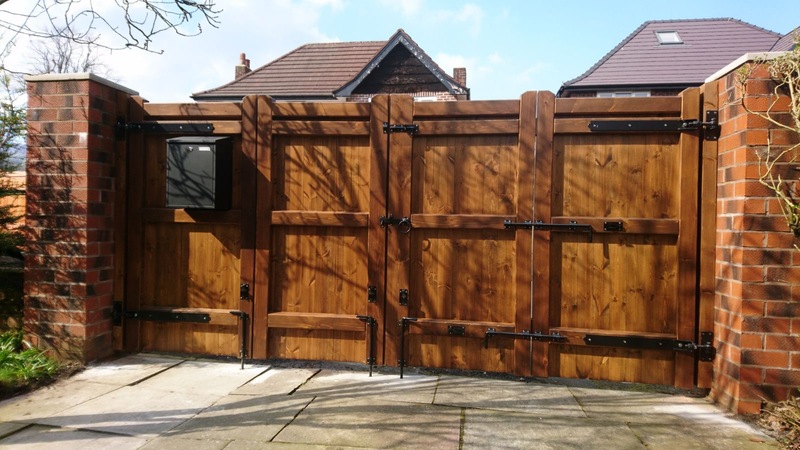 There is also the option to have a key lock lockable from both sides. 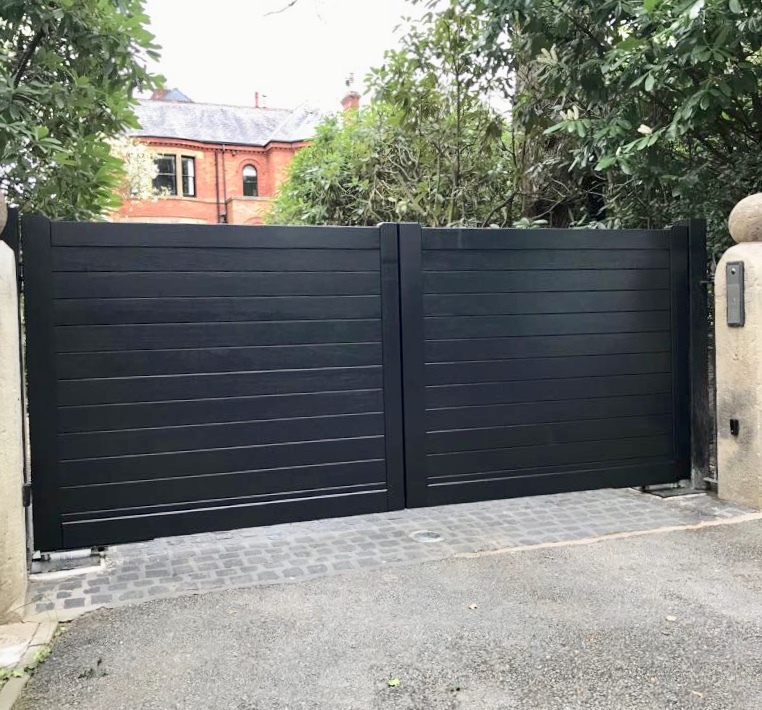 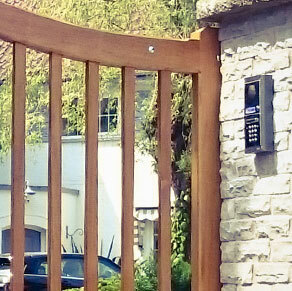 All ironmongery is fixed to the gates using stainless steel screws to eliminate rusting, ensuring long lasting, high quality performance and value for money. 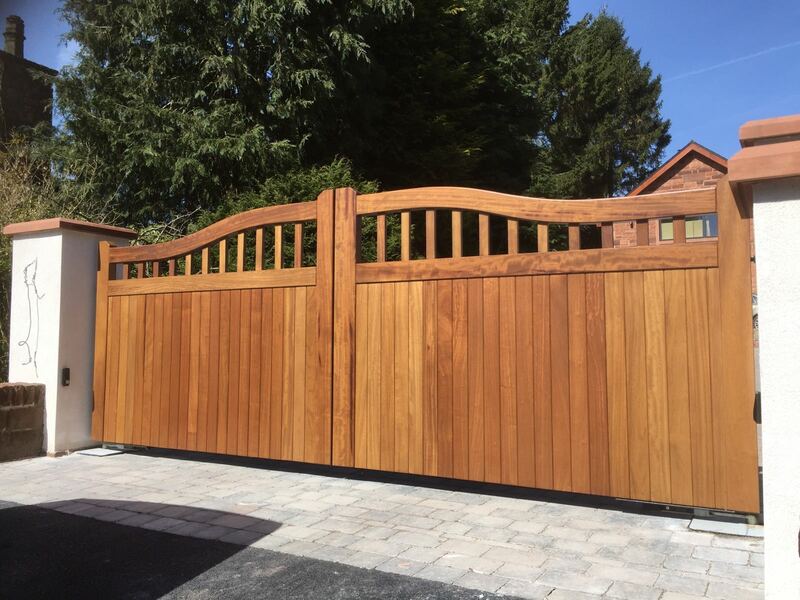 Below, you can see a few ideas of the style and design of the gates that we offer. 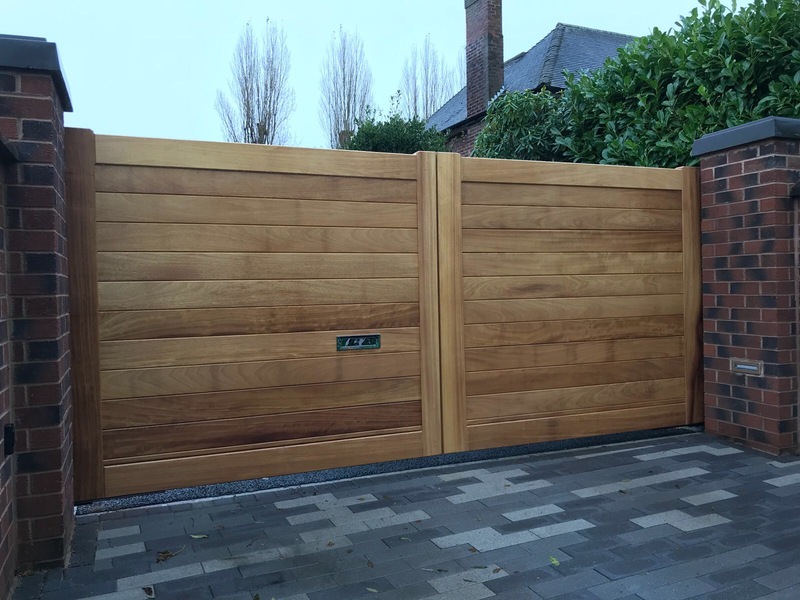 If you have anything else in mind, you can discuss your designs with us and we will help and advise you through your project. 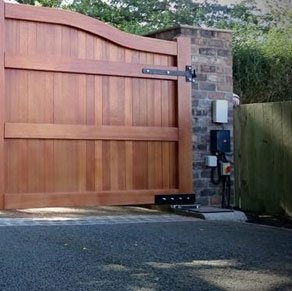 We have a wealth of experience in manufacturing and installing quality driveway gates across Warrington & Cheshire. 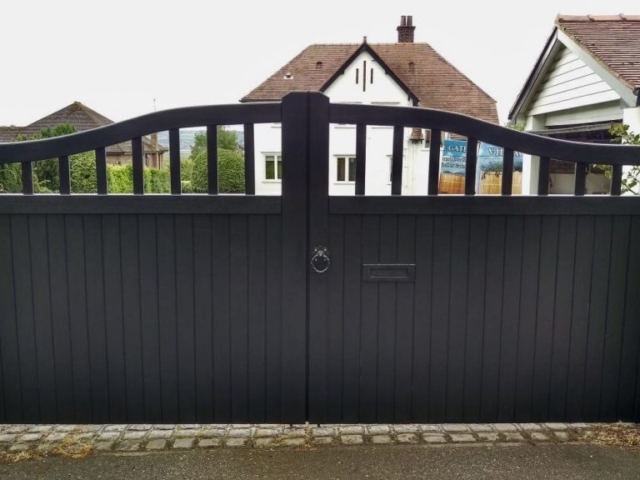 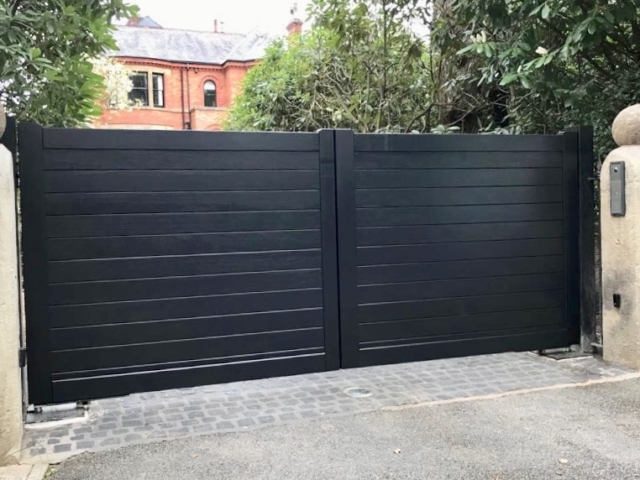 So if you're looking at upgrading your driveway gate, Call us on 01925 552 322. 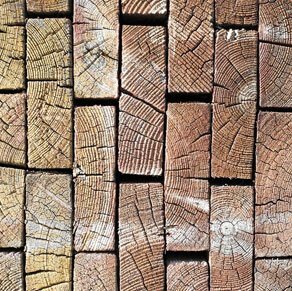 Click here for more about our types of timber.